Remember me? Peak in its last release had a cleaner look, but I imagine something like this is what popped to mind when you heard Peak. Photo (CC-BY) Chas Redmond. Peak is dead; long live Peak. 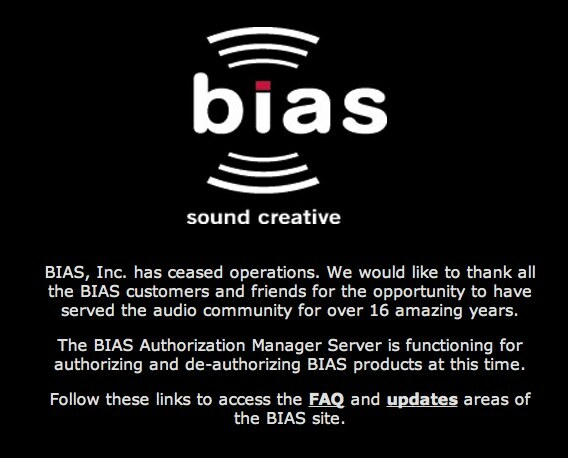 Peak joins Apple’s own Soundtrack Pro and (arguably) WaveBurner and, once upon a time, Macromedia SoundEdit, along with tools like Digi’s Sound Designer II and TC Electronic’s Spark. 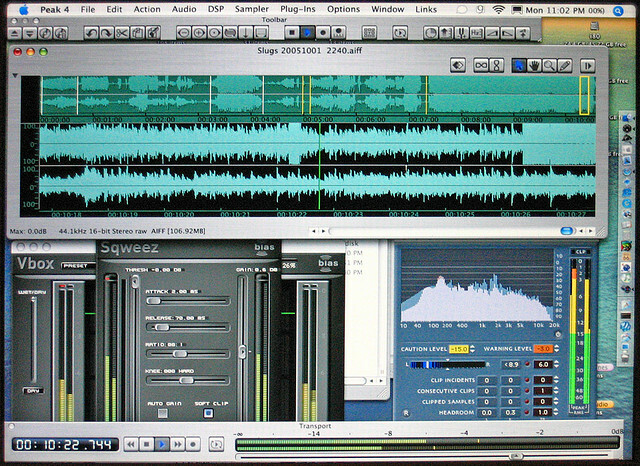 (While not ever officially discontinued, Apple first moved Soundtrack Pro to the Logic suite, then quietly eliminated it entirely when Logic Studio moved to the App Store; it can be considered “missing and presumed deceased.” Macromedia SoundEdit 16 can be traced back to the first popular tool in this category). That’s the bad news. The good news is, the waveform editor is still very much alive on the Mac. And there’s still something to be said for dedicated waveform editors, even when multi-purpose DAWs share some of the same functionality. If you’re just editing individual audio files, if you’re batch processing, if you’re working with complex asset management, if you’re performing tasks like CD mastering, very often these tools provide unmatched capabilities or simply speed up workflows. Felt Tip Sound Studio. This is literally the first tool (alongside SoundHack) I ever used on Mac OS X, back when … it didn’t run anything else. Today, it’s a remarkably mature, elegant, and easy-to-use audio tool, and it’s just US$29.99 on the Mac App Store. Amadeus Pro II is $59.99, also on the Mac App Store. If you haven’t used it lately, it’s gotten a complete overhaul and cleaner, prettier, more usable UI. With multitrack editing, batch processing, and repair, it does what Peak did but often more easily and at a fraction of the price. 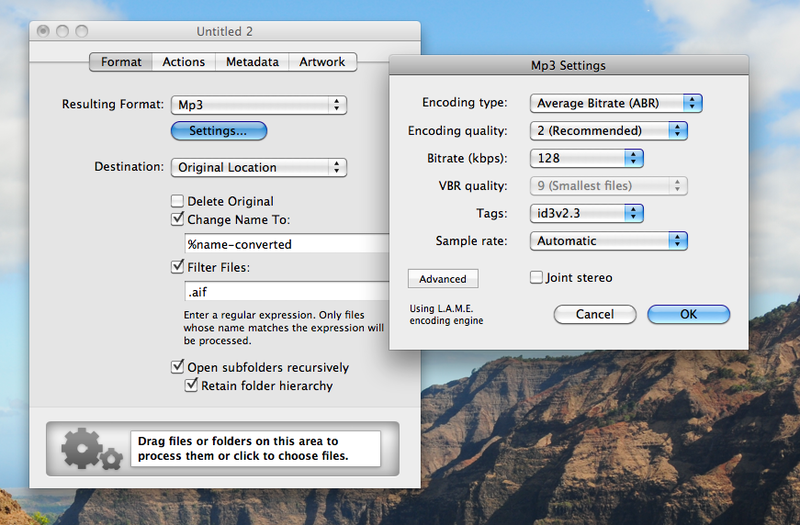 It also admirably handles just about any file you can throw at it. Audiofile Engineering Wave Editor: $79 buys you some seriously-powerful features, from iZotope sound engine and advanced sample rate conversion to mastering features, unique “smart edit” and layer-based editing, and others. Adobe Audition survives even as Soundbooth is gone. It brings the best-loved editing power of the Windows version, at last, to the Mac. And true to its lineage with sibling Premiere, there’s lots of video-style editing and post-production power. You can even play HD video right in the editor without transcoding, and you get session management, broadcast-compliance, and speech alignment features that will appeal to video workflows. 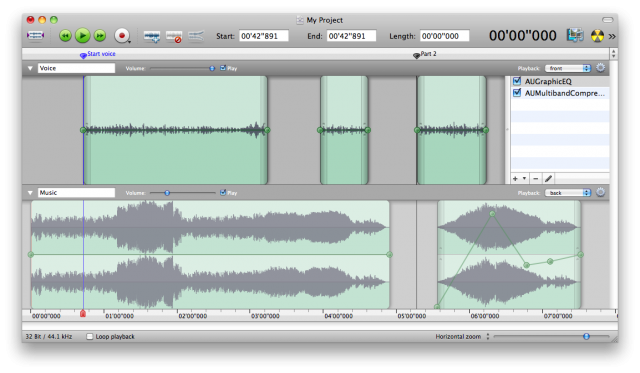 There’s quite a lot more in Audition, too, making it practically a DAW. And you can pick it up as part of a CS suite, including Adobe’s recently-introduced subscription-based pricing. Updated – Twisted Wave. Reader Daniel Courville suggests this wave editor, with its own lovely features like automatic silence detection, effects stacks, metadata editing, high-quality DIRAC stretching, clip lists, and more. And very cool: it runs not only on Mac desktop, but on an iPad or in your browser, too. $79, with a trial available. Steinberg WaveLab I nearly forgot about, as its entrance on the Mac is fairly recent. Its interface is easily the least-friendly of any of the options here, but some swear by its industrial-strength mastering capabilities. DSP-Quattro is almost a full-fledged DAW, but focused on audio editing features, and several readers recommend it. With lots of editing tools, live recording functionality, and CD mastering, it puts the waveform front and center in a way a DAW might not. Audition and Wave Editor also have free trials if you want to, um, audition them first. There are times when editing and batch views like the ones above are just the right tool for the job for many users. Pictured: Amadeus Pro II. In fact, for all the recent losses, I don’t think there’s ever been a time at which the Mac had this many choices, software this mature, or wave editors this affordable. So, while I’m sure some Peak lovers will miss this tool, I think the platform looks bright. If users of any of these tools would like to talk about your workflows or other tips or impressions, please get in touch. Thanks to Øivind Idsø [SoundCloud] for both the heads-up and the idea for this story.